Netflix fans can take their addiction to a whole new level in June, when the streaming service opens a Museum of Ice Cream-style installation with environments inspired by some of the most popular series on the platform. Open from June 15 to 17 at Raleigh Studios, the Netflix pop-up is free and open to the public with advance registration online (the first round of tickets is sold out, but they recommend checking back for a second round on June 7). 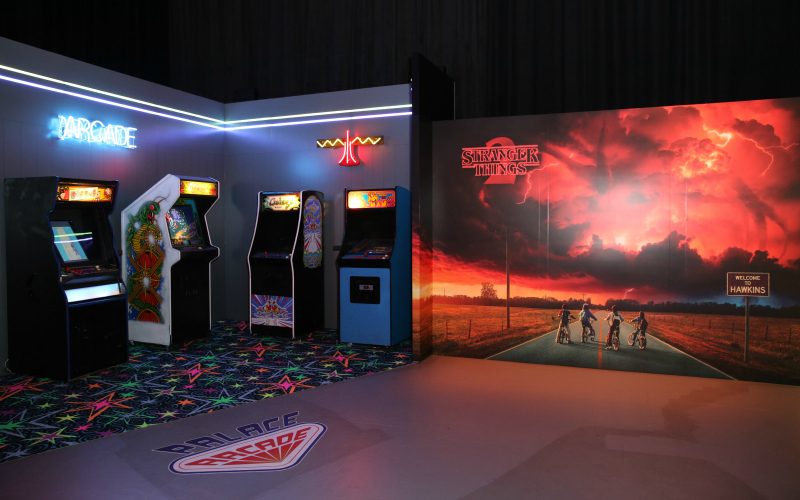 Experiences include chances to play arcade games from Stranger Things, hop in a wrestling ring inspired by Glow, admire The Crown’s royal wedding gown, and belly up to a saloon out of the Godless Old West. The company promises that there will be an array of costumes and props used in the actual productions on display in addition to the Instagram-baiting backdrops and photo-ops. Fans will also be able to rep their favorite shows with an exclusive merchandise line for sale at the pop-up. While you’re likely to gravitate to the environments themed around shows you already love, they suggest attendees take a moment to explore the areas dedicated to the other programs, too. One of the goals of a Netflix pop-up is to encourage viewers to open their minds to shows they might not have previously sought out, hopefully finding their next obsession in the process. Because You Watched: A Netflix Exhibit runs June 15 to 17 at Raleigh Studios, 5300 Melrose Ave., Hollywood. Stay on top of the latest in L.A. food and culture. Sign up for our newsletters today. You can also check in with L.A. Mag throughout the day on Facebook and follow us on Instagram.